How much methane leaks during fracking? Emissions of methane (CH4) from oil and natural gas development – including fracking – have been declining in recent years, thanks in large part to technological innovation. The current leakage rate for petroleum and natural gas systems is estimated at about 1.2 percent, according to the U.S. EPA. From 1990 to 2017, methane emissions from petroleum and natural gas systems declined by 31.9 million metric tons of carbon dioxide (CO2) equivalent, or 14 percent. Over that same period, natural gas production increased by 51 percent, while oil production increased by 80 percent. What about methane emissions from pipelines? According to the U.S. EPA, since 1990, methane emissions from crude oil transportation (including pipelines) have remained flat at about 200,000 metric tons of CO2 equivalent. Methane emissions from oil pipelines “account for less than 1 percent of total CH4 emissions from the oil industry,” according to the U.S. EPA. For natural gas systems, emissions from transmission and storage have declined by more than 25 million metric tons of CO2 equivalent since 1990, or about 44 percent. Are emissions increasing from venting and flaring? No. According to the U.S. EPA, methane emissions from venting and flaring in the United States declined 15 percent from 2013 to 2016. EPA also recently downwardly revised its estimates of venting and flaring emissions for previous years, based on better data. EPA now says emissions are up to 94 percent lower than previously estimated. Do methane emissions erase the climate benefits of natural gas? Yes. In addition to state regulations, the U.S. EPA currently regulates methane emissions from oil and natural gas sources under the Clean Air Act. The U.S. Bureau of Land Management also regulates methane emissions on federal lands, although the BLM rules are currently being challenged in federal court, and the agency is considering several revisions. What are the largest U.S. sources of methane emissions? 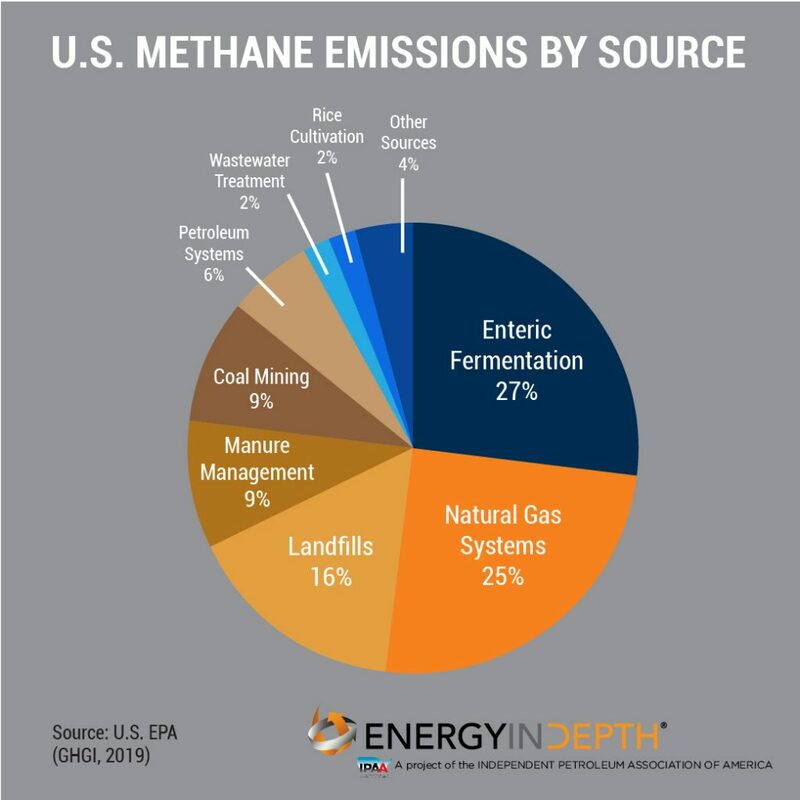 The largest single source of methane emissions in the United States is what’s known enteric fermentation, which comes from livestock as a byproduct of digestion. The second largest source is natural gas systems, followed by landfills, manure management, coal mining, petroleum systems, wastewater treatment, and many other sources. How do methane emissions from U.S. oil and natural gas stack up globally? 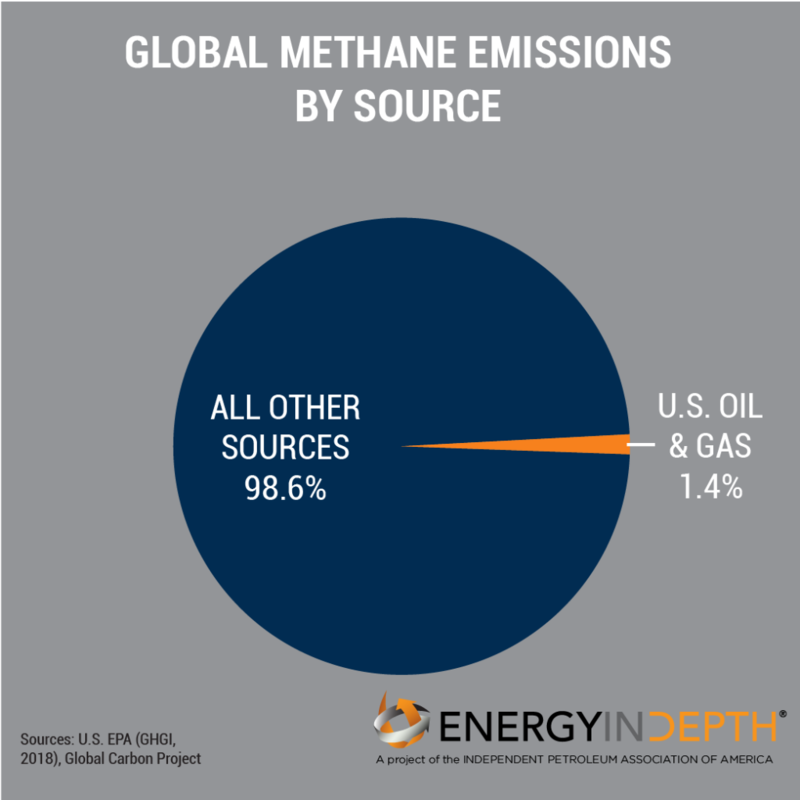 The U.S. oil and natural gas industry is not a major contributor to global methane emissions. 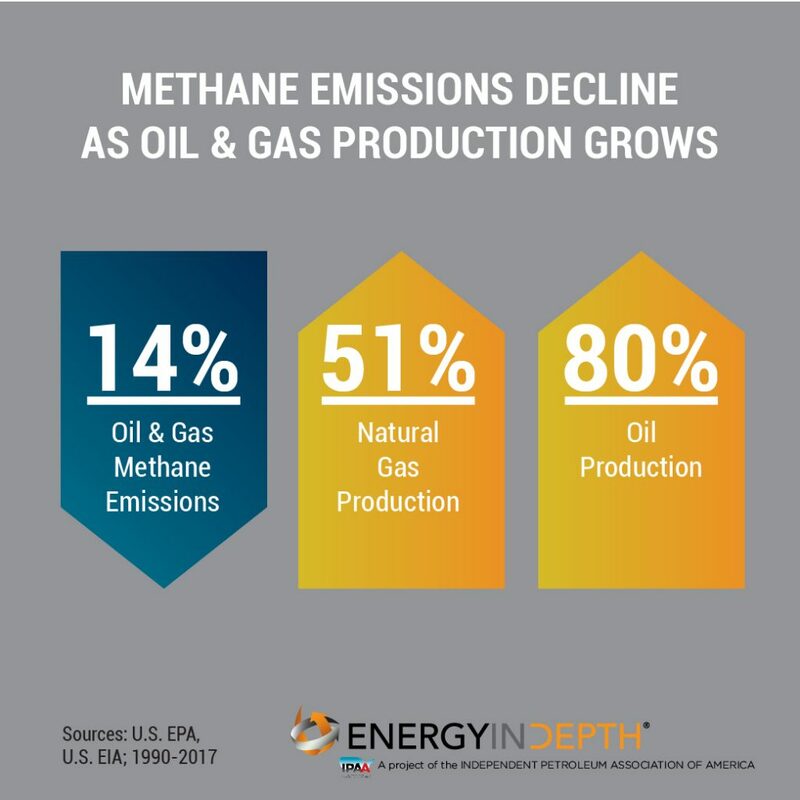 According to data from the U.S. EPA and the Global Carbon Project, methane emissions from U.S. petroleum and natural gas systems account for only 1.4 percent of all methane emissions worldwide.